The scoring slump was over, but the questions remained for Pierre-Luc Dubois. 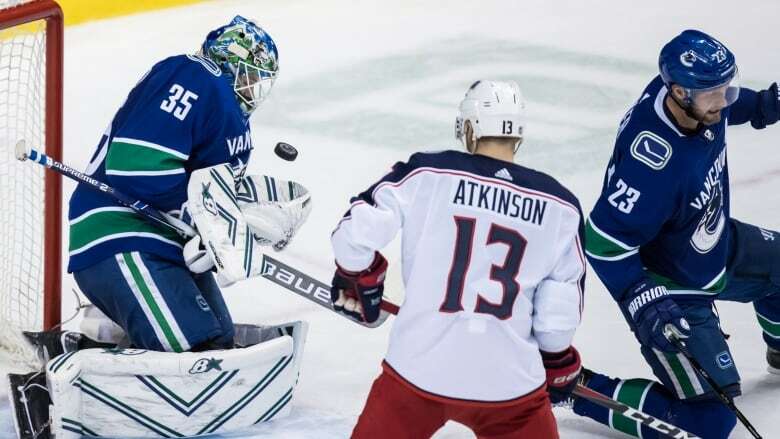 "I've never been in a slump like that probably in my life," said the Blue Jackets' first-line centre. "I have been in a slump where I wasn't playing well, and I wasn't getting points and didn't wonder why because I wasn't playing well. "I felt pretty good," said Bobrovksy. "I felt comfortable to play and I thought the guys helped me a lot out there. It's a good team win." Dubois's goal made it 2-0 with just 56 seconds gone in the second period. "That wasn't our strongest game," said Horvat. "We knew they were going to come hard. They just kept coming and coming. "We couldn't get any traction. We have to be a lot better than that coming down the stretch here."